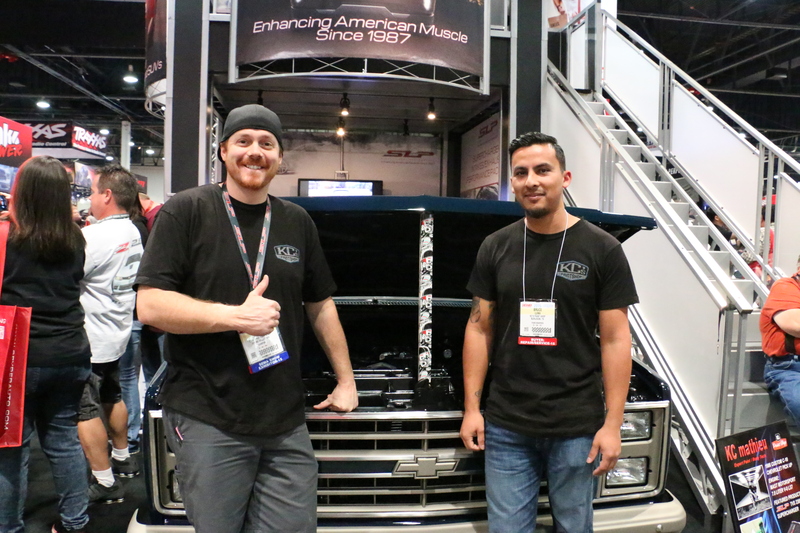 The Specialty Equipment Market Association (SEMA) Show in Las Vegas brings all of the industry bigwigs to one convention center for four days of badass builds and automotive debauchery. 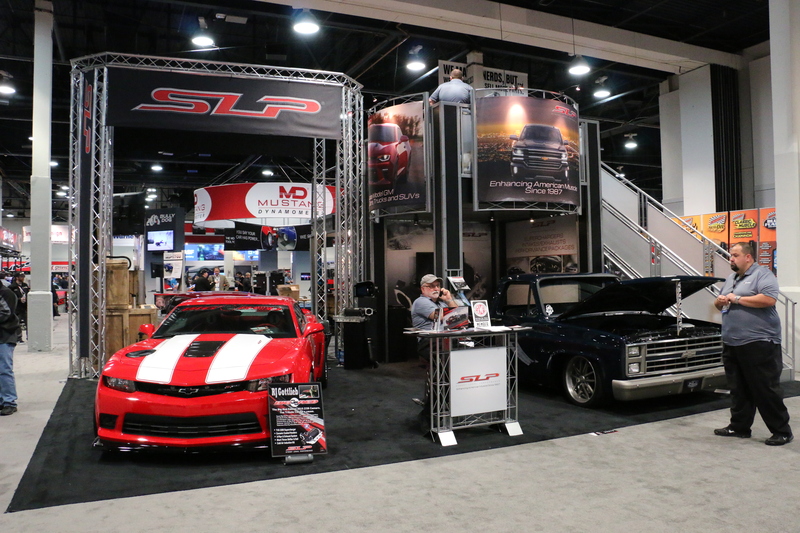 Of course, SLP was there to take it all in with a display of our very own, complete with two stunning SLP-equipped builds: The 2015 Z28 Big Red Camaro tribute car, and KC Mathieu’s 1986 Chevy C10. The Big Red Camaro was built by the Daniel and Susan Gottlieb Foundation to be auctioned for the veteran’s charity Ride2Recovery at the January 2016 Barrett-Jackson Scottsdale auction. 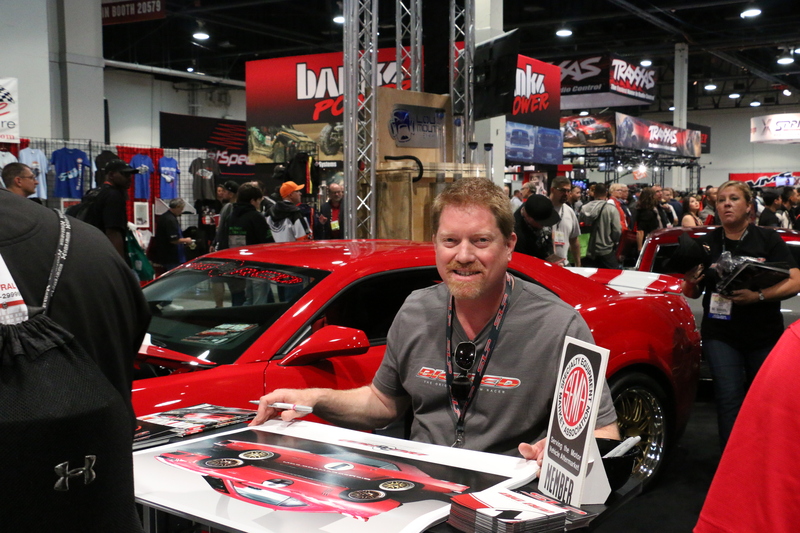 The car was built by Hillbank Motorsports as a 25th anniversary tribute to its namesake – the original Big Red Camaro. Powering the Z28 is a 7.0L V8 with an SLP supercharger fitted right on top. The beautiful Camaro also features SLP ceramic-coated headers, an SLP X-pipe and exhaust system, SLP Cold Air Induction Kit, and an SLP short-throw shifter. A set of 19-inch Forgeline GX3R wheels are wrapped in Pirelli P-Zero tires. Sitting pretty next to the Big Red Camaro was a custom 1986 Chevrolet C10, built and owned by KC’s Paint Shop’s own KC Mathieu. 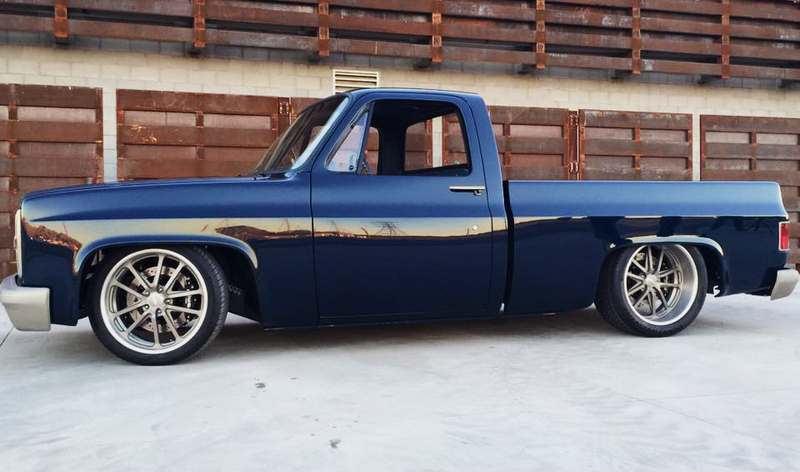 The stunning Deep Blue truck’s Mast Motorsports LS7 produces nearly 900 horsepower with the help of an SLP supercharger – and looks damn good doing it. Believe it or not, KC is actually in the process of selling the truck. Could you be the lucky new owner? This wraps up SLP’s 2015 show season. 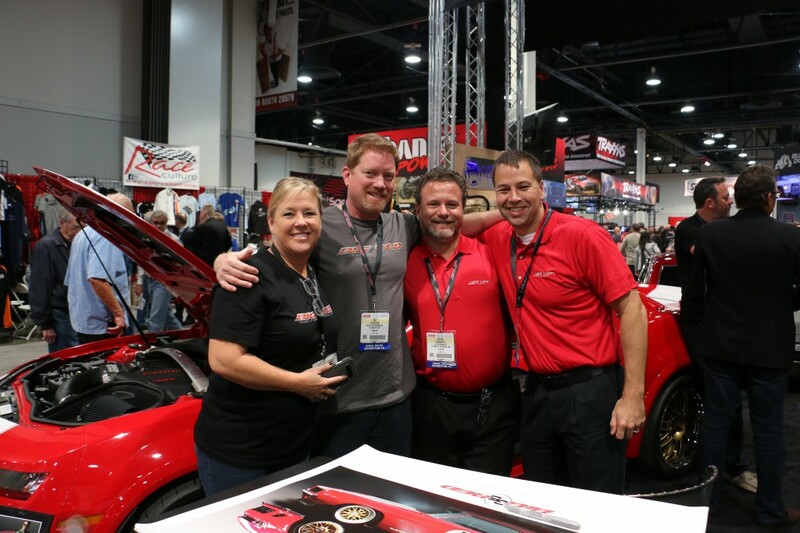 We had an awesome week at SEMA, and we’ll see you out and about in the spring!